Whether you work in the home improvement industry or you’re a DIY novice, renovations can be exciting projects, but they can also be challenging and time-consuming. To avoid unnecessary stress, you’ll need to have a clear vision so you can stick to your timeframe and stop costs mounting. With these tips in mind you’ll be well on the way to a smooth renovation project. Any major renovation can throw unexpected problems at you, so careful planning should mitigate any problems you may face and help the process run as smooth as possible. 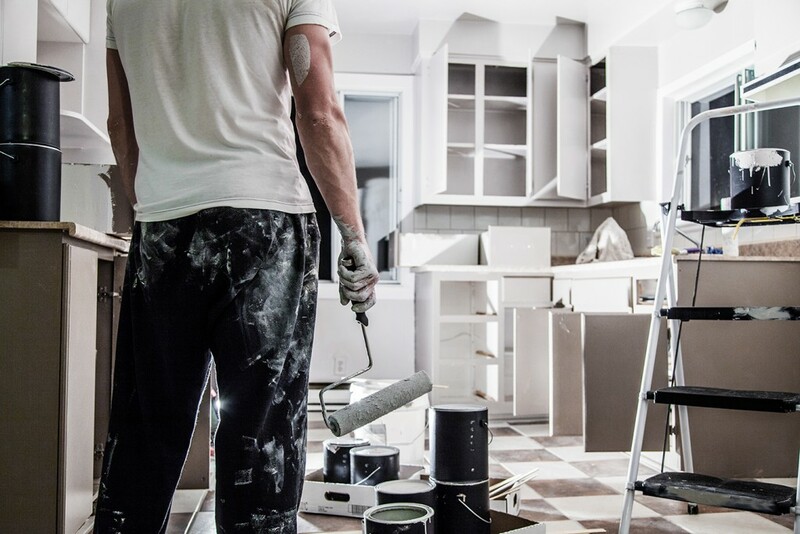 By knowing exactly what renovations you want to carry out and outlining them carefully, you can manage your timeframe and budget appropriately, thus hopefully saving your time and saving you from overspending. If you want to really take your planning to the next level then there are templates and software programmes which can help. With SmartDraw you can create home remodelling plans with a professional edge, even if you’re inexperienced in this area. It might sound strange as a time-saving tip, but you shouldn’t be afraid to spend on quality materials when appropriate. If you use cheap paint or screws, for example, you could easily end up spending more time on replacements if they don’t deliver the results you were expecting. Cutting corners can quickly lead to added work in the long run and thus added time. Be careful with what work you take on. If you specialise in kitchen fitting, for example, things such as plastering, complex electrical work and bricklaying should be carried out by qualified workers so you can focus on completing the job on time. If you’re not a professional, but you’re handy and you have some time, you could do some work yourself. Some of the more simple tasks such as decorating, ripping out bathrooms and small electrical jobs like replacing light switches will save on time and money. There are numerous sources to be found online if you’re looking for tutorials and tips. YouTube channels such as HouseImprovements or FIX IT Improvement can be particularly handy for DIY tips, providing you with detailed explanations from expert professionals. Before committing to completely replacing items, ensure that it’s definitely necessary. In many instances a deep-clean of fixtures such as kitchen cupboards and cabinets, fridges, ovens and carpets can refresh them enough to make them seem new, allowing you to save the precious time it would take to refit these items. As many of us know, replacing appliances such as fridges and cookers can prove to be very expensive, so if you can breathe new life into them, why not? This goes for both builders working on renovations and people contracting workers to renovate their home. Being organised and working in a professional and timely manner will always aid the smooth running of a building project. If you’re contracting workers, finding the best professionals to carry out the specialist tasks of your renovation may cost you more money on the face of things, but it should help you save time if you’ve found the right people for the job. Make sure you get quotes from potential builders and references from previous clients. There are also sites such as mybuilder.com and ratedpeople.com, which can be good starting points as each registered builder has feedback from previous jobs. TrustMark is also another starting point for sourcing reliable and trustworthy builders.